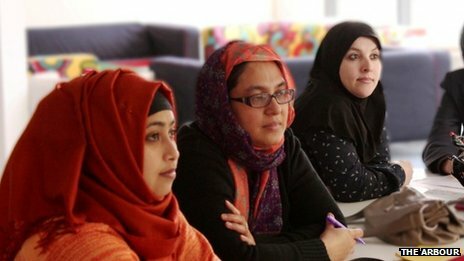 - A new project in east London is training newly arrived migrant women to become leaders and mentors in their community. The 'Lead to Inspire' project, run by The Arbour charity in Tower Hamlets, gives the women intensive training over six months at the end of which they have to organise a community event. The women taking part moved to the UK to be with their husbands, largely from Bangladesh, but the aim is to help them become more than housewives. They told BBC Asian Network's Catrin Nye about their journey from new migrant to future leader. 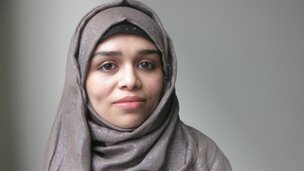 "I arrived in the UK last year to live with my husband. When I came for the first time I felt nervous, very cold and isolated. I had his family here but they all had jobs and were very busy so the first three months here were really very hard. "The hardest thing, to be honest, was shopping - in my country as a woman you can pay someone to help you but here, well, you have to do everything yourself. 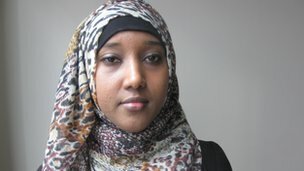 "I miss a lot about Somalia - my family and friends, the weather, the sea, everything. I used to learn English but this leadership course is great for women because you can get more skills than just English; IT skills, confidence and I think it's making us tough women! "First when I came to do this course I couldn't speak in front of two people, now I could speak in front of a million. Women already lead the house, our husbands, our kids; we are leaders anyway so we need to tell people that." "When I came here I was very nervous and uncomfortable, I lacked confidence but it's much better now - I like life here. "The rules here are what I like best and I feel like women can do anything here; education, jobs, English classes, anything. "The leadership programme gives you power, you can lead in your family, in your community. You get confidence, you learn a lot. You have to go outside and communicate with people, have to learn IT skills and it means you gain confidence. "We need to give migrant women the opportunities to use their brain, to use their experience, to be on things like the council." 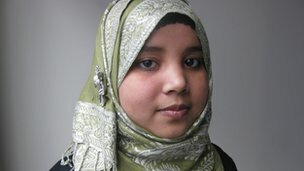 "I was doing my degree in Bangladesh but in the second year I got married and moved here to be with my husband, he's a secondary school teacher here. "When I arrived I was so scared and I was bored - it's just me and my husband at home and he was out at work all day. It was through a childhood friend that I found out about all the courses on offer. I like it here now - the Underground even and everyone obeys the law. 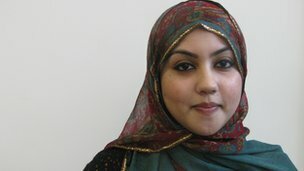 "There are so many courses to do - when I first got here I knew nothing about the culture, the community here, but I started an English course and I've done voluntary work in a cafe. "I'm now doing the leadership course - we do trips to farms, to Parliament, I've learnt so much." "When I arrived here at first I thought it was too difficult, my English was bad and I felt like I couldn't live here, but once I had English lessons I built confidence and now everything feels easy. "I didn't know how to use buses, trains - now I can use them confidently. I like living in the UK because I like the law here, they maintain discipline. "In Bangladesh there is a lot of corruption and though there are rules and laws people don't obey them. "My plan in the future is to be a good leader - I think we need more strong Bangladeshi women in this area, in this community." (You can hear more on this story on Asian Network Reports at 13:00 BST and 17:00 BST on 10 December or listen back on the BBC iPlayer.